A commercial project is getting closer to coming to life at the Spring Mountain Motor Resort &Country Club. Horace Langford Jr./Pahrump Valley Times The Spring Mountain Motor Resort & Country Club could see its racetrack expand to record-breaking levels. That's if the sale of more than 600 acres of public lands, adjacent to the race facility, is approved for sale by the federal agency. 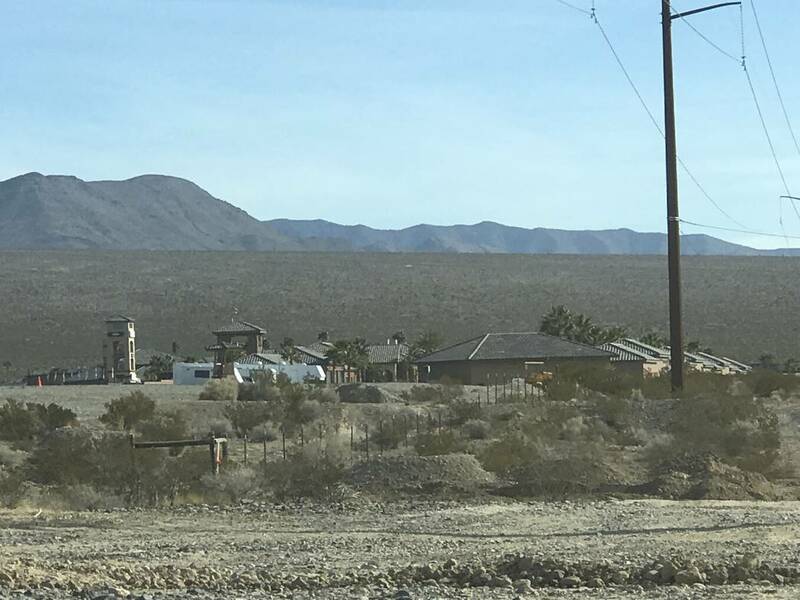 Jeffrey Meehan/Pahrump Valley Times A nearly $3.8 million sale of nearly eight acres of land near the front gates of the Spring Mountain Resort & Country Club was sold to Majestic Realty, Nye County property records show. A 110-room all-suite hotel and casino is planned on the property, is a restaurant and retail shops for the first phase pegged to break ground in the fall, according to a newsletter on the race facility's website. Documents at the Nye County Recorder show a sale from owner Spring Mountain Commercial to Majestic Pahrump Holdings LLC – a company connected to City of Industry, California-based Majestic Realty Co. – for a parcel just outside the race facility’s front gates. Majestic Realty’s President and Chairman Edward Roski Jr. is the owner of the 300-room Silverton Hotel and Casino in Las Vegas. The transfer was recorded on July 18 according to the county recorder’s office. Documents show the sale of nearly eight acres, a portion of an almost 22-acre parcel, was sold at a cost of nearly $3.8 million to Majestic. In a newsletter on Spring Mountain’s website, the company stated that the project is set to break ground in the fall. According to the newsletter, phase one of the project will contain a 110-room all-suite hotel and casino. Additionally, a restaurant and retail shops are also planned for the first phase. A reporter from the Pahrump Valley Times reached out to the public relations firm that handles communications for Majestic. A spokesman said he was working on trying to gather information on the project. The spokesman had not reached the Times before the publishing deadline for this article. Things have already been moving at the site of the future hotel-casino. Vern Hee, a spokesman for Valley Electric Association, said the co-op has been in the process of moving power poles around the area of the commercial parcel at Spring Mountain, though the work was suspended due to extreme heat, the spokesman said. Work at the site by Valley is planned to resume on Sept. 4. According to Spring Mountain’s newsletter, the poles are being moved to make room for the hotel in development. The Nye County Board of County Commissioners voted to approve the final commercial subdivision map in March 2018 on the parcel addressed 3651 S. Highway 160. Water infrastructure was laid earlier in 2018 for the commercial and residential projects planned and in motion at the race facility. Two 550,000-gallon water storage tanks were completed just north of the track’s main facility area. A water and sewer treatment project were estimated to cost nearly $13.4 million at Spring Mountain. In August 2016, Great Basin Water Co. gained approval from the Nevada Public Utilities Commission to expand its territory by 120 acres. Under the PUC approval, Great Basin was allowed to construct stand-alone water and wastewater infrastructure and the associated facilities. Spring Mountain, however, was required to pay all associated costs for development on the infrastructure. Wendy Barnett, president of Great Basin Water Co., told a reporter in a written statement earlier in 2018 that water rights were a necessary part of the development at Spring Mountain and necessary for Great Basin to provide service. 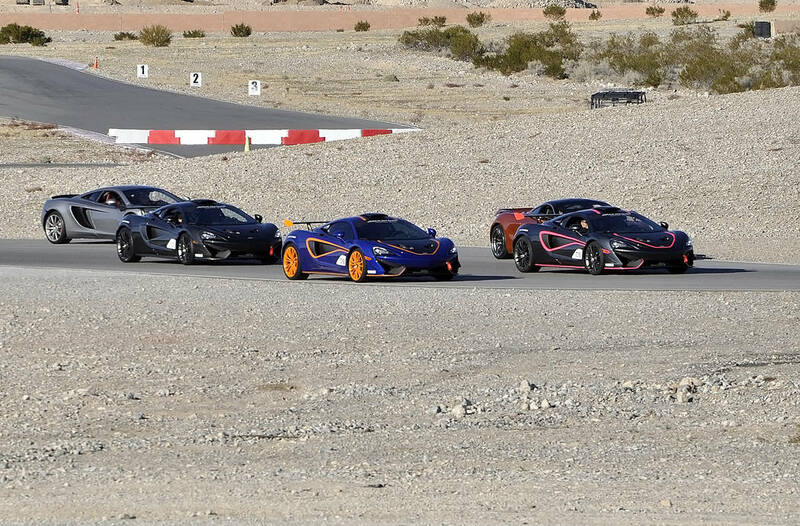 “Spring Mountain Motorsports Ranch (SMMR) was an annexation into our service territory, and they had to bring the necessary water rights to be served,” Barnett said in an April 27 report in the Times. Barnett also said in that statement that “the water rights dedication to the utility is governed by the Nevada Division of Water Resources and the Public Utilities Commission of Nevada, both of which regulate utilities like Great Basin Water Co. The water rights are allocated to the parcels within Spring Mountain to meet their service needs and are held by the utility,” the Times report stated. A 30-day scoping period and 45-day comment period are set to end on Aug. 28 and Sept. 12, respectively, for two potential sales of the acreage that sits north and east of the Spring Mountain race facility. The owner of the race facility wants to acquire the land to expand Spring Mountain’s current racetrack. Spring Mountain Raceway LLC has been identified as the designated bidder, the BLM said in a release. A spokesman for the BLM said anyone can bid on the 621 acres. Area residents have spoken out against the track’s expansion at public meetings in Nye County. At a May meeting pertaining to changing to zoning on the more than 600 acres, area residents voiced concerns on increased noise and pollution from high-performance vehicles that would race around more than 15 miles of track. County commissioners approved a zone change from reserve to heavy industrial with special projects overlay earlier in 2018. Under that change, the county included several stipulations, including a maximum of 50 acre-feet of water use annually on the more than 600 acres adjacent to Spring Mountain’s current facility. The track, if it were to be built, would be the longest in the world, longer than the famed 13.1-mile long Nurburgring Grand Prix in Nurburg, Germany, which is currently the longest track. The BLM will have to amend its 1998 Las Vegas Resource Management Plan in order for two modified competitive sales events to occur. If the RMP amendment were approved, the BLM would be able to expand its disposal boundary by 621 acres. Under the approved amendment, 553 acres would be sold in a phase-one sale in January 2019 a modified competitive sale, according to the BLM. The sale of the additional 68 acres would occur in the summer of 2019 in the same manner, the BLM stated in a July news release. According to the federal agency, the 68 acres must have a cadastral survey done before being sold. Written comments can be sent by U.S. mail to the BLM Pahrump Field Office at 4701 N. Torrey Pines Drive, Las Vegas, Nevada 89130-2301. Address letters to the attention of Shevawn Sapp. Comments can also be emailed to Shevawn Sapp at ssapp@blm.gov or faxed to 702-515-5010. The BLM’s environmental assessment, once completed, for the over 600 acres, will be available at the BLM Pahrump field office and online, the agency stated in a news release.